Shirley Forrester Underwood, of Victoria, Virginia departed this life, Thursday, November 29, 2018. She was born in Tennessee June 28, 1923, to parents Lucy Wight and Matthew Forrester, of Tennessee, Virginia, and California. She is survived by four children, John Mathew Underwood (wife Connie W. Underwood), Charlotte-Ann Underwood, Joyce Underwood Engnehl, and Richard Scott Haag. Also, a sister, Faye Forrester Cook and many other relatives. She was a grandmother to eight grandchildren, had seventeen great grandchildren, and one great-great-grandchild (from her first marriage). She counted many more from her second marriage. Shirley is the widow of William G. Haag, her second husband. He was retired from the Virginia State Forestry Service. He was loved and well known in Victoria; a devoted husband and family man. Shirley and Bill were married in February 1998. They enjoyed a loving marriage until his death in July 2002. During this marriage she learned to love and be loved by Bill Haag’s families. Bill had his three children with his first wife that Shirley embraced and loved with him. She also learned to love and cherish Bill’s second family, the family of Ronald E. and Janet Johnson. Bill was active in his church, the Masons, and many other community interests. He was a blessing to Victoria and all who knew him. Shirley was formerly married to John Ralph Underwood for 45 years. They were married in 1939. Ralph died in 1984. Ralph was very active in the Fire and Rescue, the Richmond Astronomical Society, and was a Mason. He retired in 1978 from the Lunenburg County School system. He had a lot of interests and gave much to Victoria due to his abilities. With four families to love, (Forresters, Underwoods, Haags, and Johnsons) Shirley was many titles to many people. She was daughter, sister, cousin, niece, aunt, and then wife, mother, grandmother (great and great-great). She had in-laws and stepfamilies. She loved them all and for years sent out hundreds of birthday cards annually. In Shirley’s early years in Victoria, she was employed as a sales clerk in the Victoria Leggett Department Store. For her remaining 25 years of employment, she served as secretary in Victoria and the Lunenburg County School system. Shirley was always active in her church life and remembered being first baptized into the fellowship of the Presbyterian Church of Charlotte Court House when she was eight years old. When she married Ralph Underwood, she joined his church, The Victoria Baptist Church and was baptized again. When she married Bill Haag, she transferred her membership to his church, The Victoria United Methodist Church. After Bill’s death, she and Rick Haag continued to serve and work in that church. She has enjoyed many positions of service in the churches she belonged to. She has taught Sunday School, led and worked in Vacation Bible School, sang in the choirs, took mission trips, enjoyed the Women’s Circle, and the Golden Age Group. She was an active member of, and advanced to, Worthy Matron in the Eastern Star. 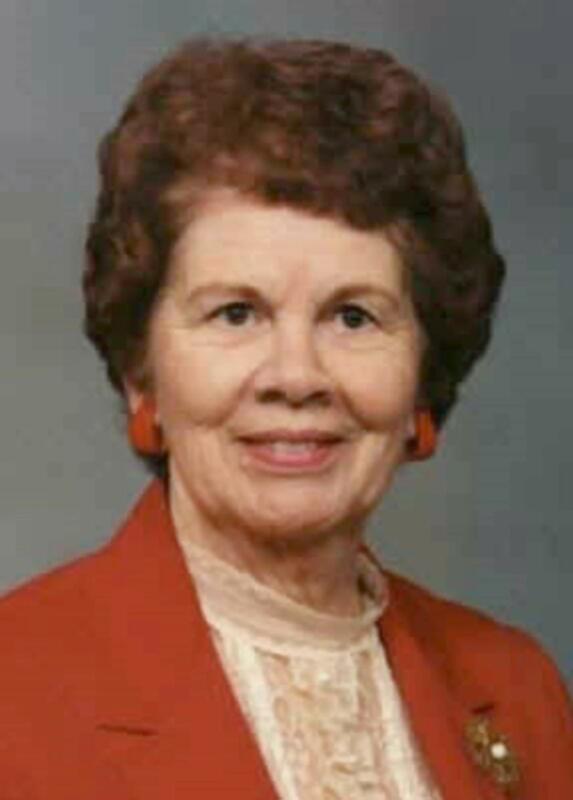 She was a Girl Scout leader in the 1950s, member of the Richmond Astronomical Society, Victoria Garden Club, West End Ruritan Club, member of the Victoria Junior Women’s Club, lifetime member of the VFW Auxiliary, and enjoyed her involvement with the rescue squad. All of her life she was known as an amazing cook, gifted in sewing, crafts, knitting, painting of art, as well as community services. She supported and attended the many family reunions of all her families. She enjoyed traveling with family, friends, and the many trips with the Virginia Ramblers.